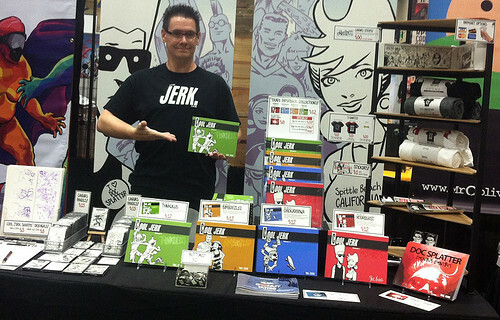 This week marks Cool Jerk’s 12th year of tabling at San Diego Comic-Con International! That’s just CRAZY! Remember way back to the early 2000s when all I had were buttons and ashcans? Well, I’m bringing ashcans back — Cool Jerk Sketchbook v2.0! I haven’t done a sketchbook since 2007 so I figured it was due time. 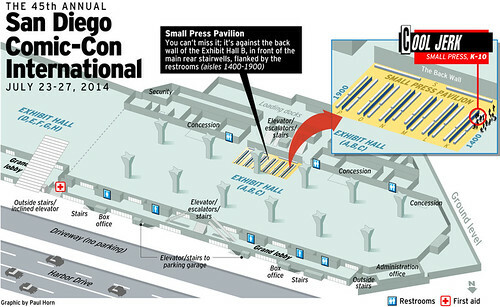 It’s the best $3 you’ll spend at the show, but you can get it free with any purchase of $20 or more! 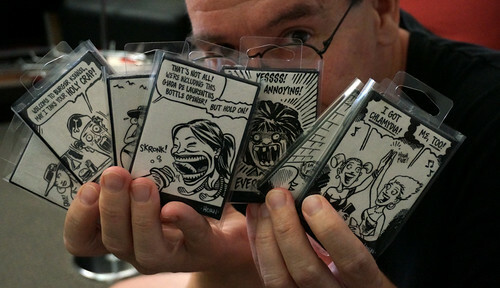 Do you like original, one-of-a-kind artist sketches? I’ll have a small handful of blank-cover variants for $10, and you get to choose something/someone for me to draw on the cover! Or hell, take it to another artist for a sketch. I don’t mind! Many ‘con regulars missed last year’s show, but don’t worry, friends — I got your back. 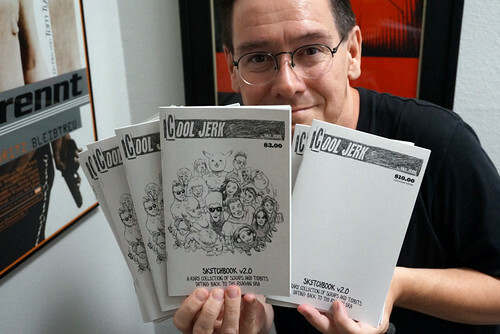 I’ll have all my Cool Jerk collections on hand — literally — including last year’s lovely Thinkulus (Cool Jerk Vol. 4). As always, I’ll be running my special comic-con discounts because damn, you already had to pay mass bucks for tickets, right? Figure I could help you recoup a few $$. • As ever, sketches are free! Here’s a map I made while you were at Office Depot buying poster tubes.